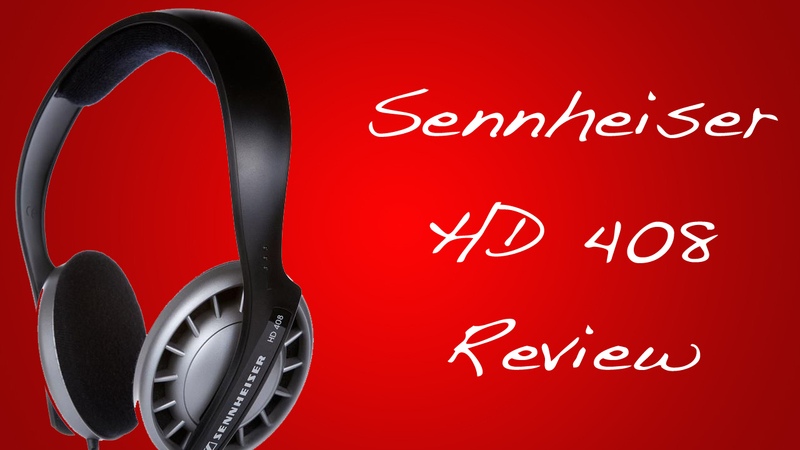 Sennheiser HD 408 is a mid priced headphones but packed with minimal features. And thats understandable. The headphones can be bought for ₹1,500 from a wholesale dealer but the price might soar up if you buy from a local shop. Just like any headphones, these headphones also cover the head. It has a plastic build. On the top of the headphone, we have the company’s name. There is cushion on top and for the ears. The cushion is pathetic at longevity and thats simply because of its poor quality. Due to sweat, these cushions start wearing off. Though the cushions are of poor quality, they don’t hurt the ears or head. The build quality of the headphone is poor. Adjusting the headphone to fit your head is simple but again it can easily break if you try to mess around with it. The auxiliary cable is quite long but the 3.5mm headphone jack covering is quite weak. So there can be high chances of the wire getting damaged. The Sennheiser HD 408 is a headphone which works like a charm on the iOS devices but the performance degrades on Android powered smartphones. The music output is really good. Its loud and clear. A good thing about these headphones is that they can be worn for hours without getting pain in ears or headaches. However as these headphones don’t cover the ears properly, noise cancellation is poor. Due to this the person, near you can easily hear what you are listening too. It does not have any additional noise cancellation functionality. Due to the inbuilt mic, it is possible for making voice calls and also use it for gaming. Due to the Neodymium magnets, the headphones provides good bass to sounds. The bass is heavy and many a times takes away the nuance from vocals. Conclusion – Well i think these headphones are good for music listening and gaming purposes. Though it has a poor build quality, a user can still go for it. It is a good option for budget headphones. A young enthusiastic tech geek who is currently pursuing Masters in Computer Science at Arizona State University. © 2013 Tech Barrack Solutions Pvt Ltd.